2017 is over and I am taking some time to review how it went and what my plans and goals are for 2018. Overall, I am happy with 2017. I grew a lot as a trader. The area of trading I've enjoyed the most has been options trading. I've also grown my account significantly. These factors are bringing a lot of change to my trading in 2018 vs how I started things off last year. A big component of my account growth has been taking a day job. The name of this blog is about what I want to be, but to get there I need a bigger account. The job is a double-benefit. First, it allows me to add capital to the trading account every month. This is the best and most reliable way to grow a small account. Ignore the instagram millionaires who claim otherwise. The second benefit of a job is that I typically kept all of my trading gains in the account since I did not need to "draw salary" off of it. My only regret is that I didn't take a job sooner. My trading gains were also quite substantial in percentage terms. In the following chart, which runs from March 2016 through the end of 2017, I am up 75% in my trading account. This adjusts out deposits and withdrawls, so it does not include the additions from my day job. I am very very happy with the returns, but I would like to see a smoother equity curve. Especially concerning is that big drawdown near the end. This was from a particularly volatile strategy and I was trading it way too big for the account. Overall, that strategy did make money for me but it is one I am retiring for 2018. Most people would not be comfortable trading through a 50% drawdown. At the start of 2018, my account is effectively at $100k. I've heard many traders describe this as a kind of psychological barrier. When they grew much past $100k they started trading poorly and gave back their gains. It takes time to stretch your brain to work with the 6-figure account. So, I've decided to cap it at that level at least for the start of the year. Each month, I will draw any amount over $100k off the account. Kind of a no-brainer. My average has been well over this, but my returns have been too volatile. So, really, I want to make 25% while reducing the noise in my equity curve. Trading for income is very different from trading for growth and I want to start transitioning now. I've struggled with my weight all of my adult life. I've dieted back down to 108kg and for 2018 I want to get down to 95kg or less. I am 6'2". In addition to building my account, I also put money into retirement in 2017. For 2018, I want to make the maximum contribution. Having a job with a 401k program gives me a chance to save far more aggressively into tax free accounts than I'll be able to as a nomad. As an aside, my retirement accounts are all in various index funds and a small set of value stocks. When I was a beginning trader, I spent 110% of my energy looking for setups. I was convinced if I could just find the right set of rules, that was all I needed to become a successful trader. Of course, there is a more to trading than just setups. You have to learn risk management, how to mix different approaches to the market, how to handle losses, how to endure drawdowns, etc. But just as important as all of those things, perhaps even more so, is working on yourself. I've been very distracted by some normal-life struggles for the past few years. I had a difficult move to Baltimore and a return to balancing trading with a full-time career. I also have a great deal of mental stress and distraction in my personal life. I've dealt with both issues by ignoring them and expecting them to go away on their own. The effect has been I am way up at 112 kg. I should be, at most, 90 kg. While harder to measure, my stress levels have also steadily increased. You might think this has nothing to do with my trading. Although the connection isn't obvious, it is real. When you're used to being overweight, you don't notice how different it feels vs being a normal weight. A few years ago I got down to 100kg and I definitely felt better then. Compared to those days, I am now effectively carrying around 3 bowling balls all day long from the moment I get up until I go back to bed. Does that sound like fun? The truth is, being uncomfortable is distracting. It saps your willpower. Loss of willpower saps your discipline. Loss of discipline will break your trading and show up in your account balance. Mental performance is dramatically better after a full night of quality sleep. Unfortunately this isn't something I experience lately. Being overweight has lead to snoring and mild sleep apnea. I can go to bed and get 8 hours of "sleep" and I still wake up tired. Being tired makes me react slower and causes me to make more mistakes. Mood and "The Big Secret"
Mood and attitude cause a host of subconscious behaviors that attract (or repel) success. This is the essence of books like "Think and Grow Rich". Having a negative or limiting attitude puts an effective cap on how successful you can be. You are "taking profits early" in all aspects of life. Fortunately, I am still doing OK in trading - but I want to work on this now, before it becomes a problem. My goal for weight loss is aggressive. I am 6'2". In the next 6 months I want to lose 22 kg (~50 lbs) taking me to a reasonable weight of 90 kg (200 lbs). I might not succeed, but I most certainly will lose some weight. If I set a goal of 10kg, I'd be more likely to "succeed" but I would probably lose less weight. This is how my mind works, yours may be different. My plan for weight loss is a alternate-day modified fast. I have tried pure calorie based diets and they require a lot of attention and counting. I want to save my attention-budget for trading and work. I have also tried and had success with Paleo style diets. However, my success with Paleo came very slowly and I had difficulty sticking with it. In short, I think fasting will require the least amount of mental energy from me, saving it for the things that matter. For my mental state, I am taking up meditation. I don't have a particular goal with this, I just know that many traders that I respect strongly recommend it. There are also studies done showing real changes in the brain that meditation produces. Not just woo-woo vague studies - real physical structural changes. "The amygdala, the fight or flight part of the brain which is important for anxiety, fear and stress in general. That area got smaller in the group that went through the mindfulness-based stress reduction program." Does that sound like something that could help your trading? It sure does to me! You can do meditation with no specific plan or program, but I am using https://www.headspace.com/. This keeps it simple for me and will track my adherence to plan. We had a long weekend and the markets that I trade were closed an extra day. I loaded up the car and went down to the Chesapeake for the long weekend to unplug. I had very sporadic cell service so I could keep an eye on email but little else. Getting out away from routine and civilization is really nice. I spent the weekend reading, mostly two books by Brian Johnson. The first was a $10 e-book that was basically just a 100 page sales pitch and I'm pretty disappointed in that one. The other one was about earnings trades and it is a terrific book. Essentially, he breaks volatility into two components. The part that belongs to the stock price behavior independent of earnings and the part that is purely due to the announcement. 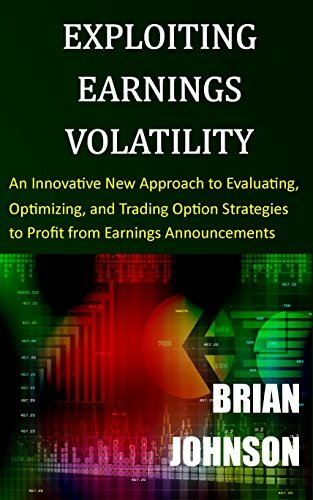 He rigorously builds out a methodology for quantifying these two vols and then using the information to structure an earnings trade. It is very heavy, but also very thought provoking. For the overachievers, I could imagine extending this logic to other discontinuities such as going into a fed rate decision. 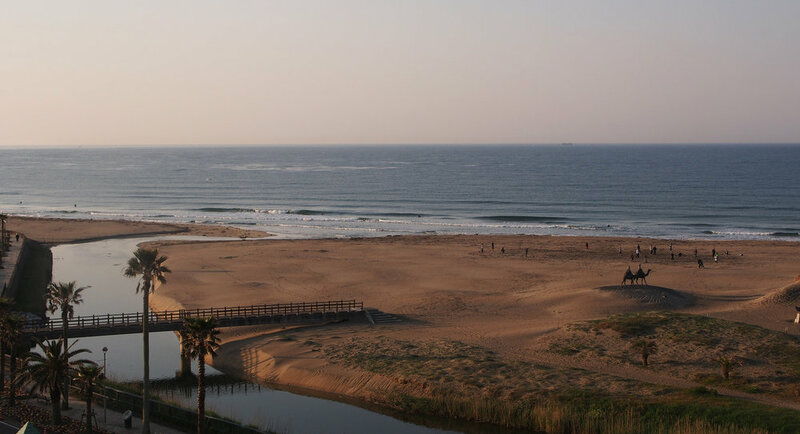 In any case, I highly recommend the earnings book "Exploiting Earnings Volatility"
As I am starting up this blog, I am sitting on a balcony overlooking the beach in Chiba, Japan. It seems like the perfect place to begin journaling my trading life. A couple years ago, I made a serious attempt to learn trading while living here full time. I had finished up a finance job in Tokyo and was anticipating a move back to the US. At the time I lived here, I was day-trading. After the US markets closed, I would sit on the balcony to enjoy this view of the morning surf. In many ways, that summer trading and living here was a taste of the life I wanted. Combining my love for being out in the world with my interest in trading the markets. I wasn’t nearly successful enough nor capitalized well enough to make it permanent. It was, though, the real beginning. My trading has changed quite a bit since those days. But the biggest change is, I now am making enough that I could support myself in this cute little hidden beach paradise. This has always been my yardstick for a first level of real success - not just a P&L above zero but one with life-changing potential. It’s still early days and I am still a little uncertain, but I’ll celebrate these victories as they come. The town had this incredible rosemary planter we raided every weekend for our grilled chicken salad. shhh, don't tell anyone. My place was in the building just above the camel statues to the upper right. When I was planning my latest trip to Japan, I gave a lot of thought to what to bring for trading. I wasn't planning on daytrading during the trip, so I just needed to check the markets once or twice a day and enter/exit some slow swing and position trades. I also wanted to travel light as I'd be bouncing around locations a bit. In the end, I settled on the Asus c302ca Chromebook. This is like a budget laptop that only runs the chrome browser. I don't trade directly off it (though my TastyWorks account would be fine for that). Instead, I use Chrome Remote Desktop and Splashtop to remotely access my home Windows machine. There, I can pull up complex options trades and do analytics as well as run various scans and python apps. There are a lot of advantages to the chromebook over a full Windows laptop. First, it's very cheap. If it gets lost or damaged, I can pick up a new one anywhere. If it gets stolen, I can relax as the internal storage is fully encrypted and all my work is synced with the cloud. After signing into a new chromebook with my Google account, within minutes I am up and running. The battery life is also much better than any comparably priced/sized laptop. Another thing about this specific model is it uses usb-c. I've been migrating my other equipment to this (external drives, dock, etc) so that's appealing. But more than that, this chromebook charges off usb-c. So does my phone (Moto Z). So, on my last trip, I just brought one very small charger and used it for both devices. It's significantly smaller than any laptop charger I've had to travel with before. The device is also a 2-in-1, so it doubled as my tablet and I left my kindle behind. On the long flight over, I could flip it to tent mode and watch movies on it's full-HD screen. Anyway, back to trading. It worked like a dream. I did find the Splashtop remote desktop to be faster and more comfortable, but you need the business version so there is a small monthly fee for that. I also used the built-in Chrome remote desktop and it was fine in Japan where internet is quite fast. The screen is 1080p so I set my home desktop to 1080p also before leaving and found it adequate for my charting/analysis needs. Correction: the screen can go higher than 1080p, but since it is a 12.5 inch screen, 1080 is a comfortable size for the Windows desktop.